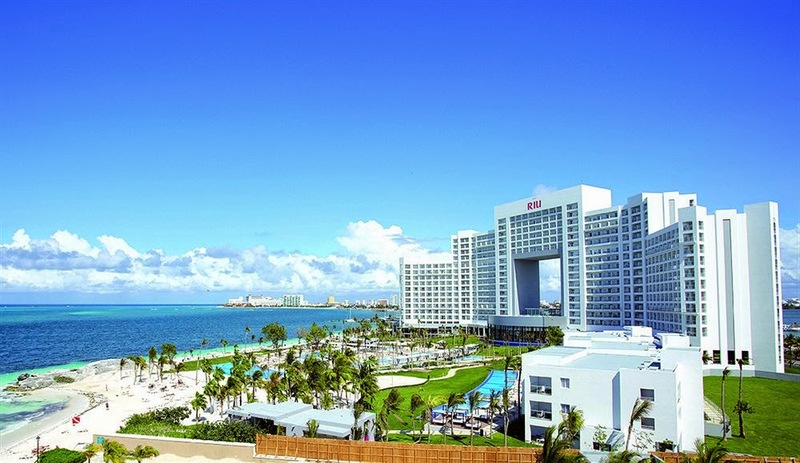 Riu all-inclusive resort and spa is a 4-star beachfront property situated on a enviable location on a jutting location in core of Cancun`s resort area. 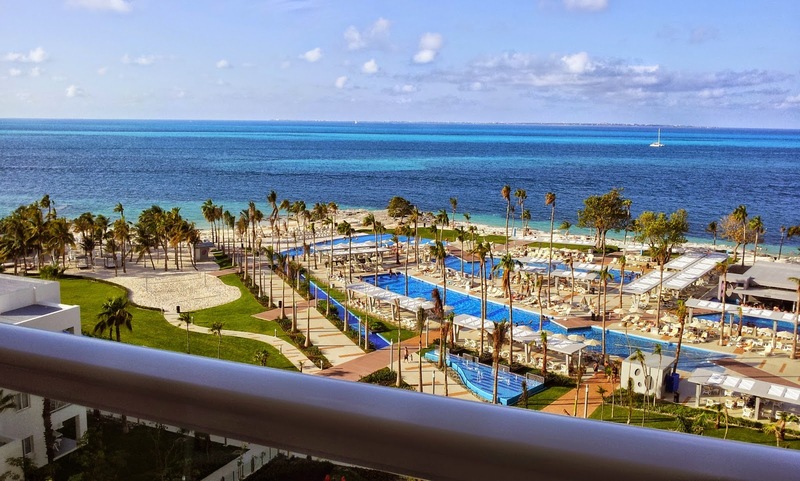 The 16-story resort looks down on dazzling white sand, lush vegetation and the Caribbean`s famed crystal turquoise water. 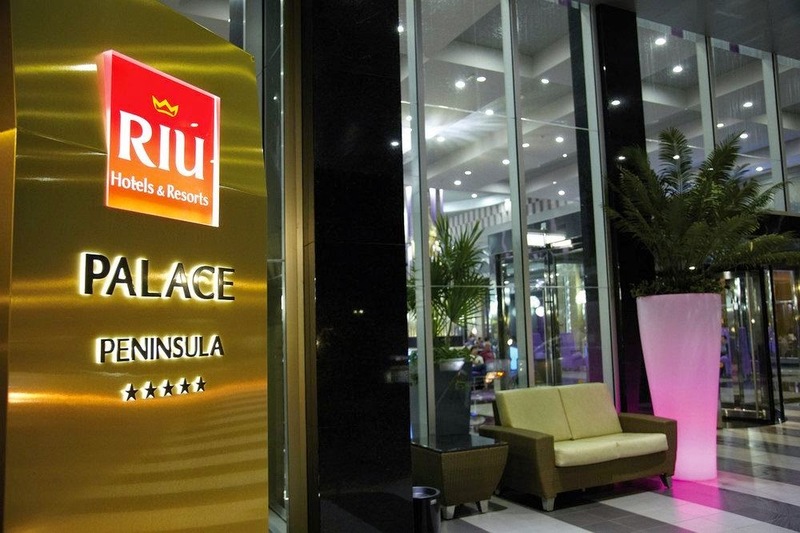 Riu presents its newest resort experience - the Riu Palace Peninsula. 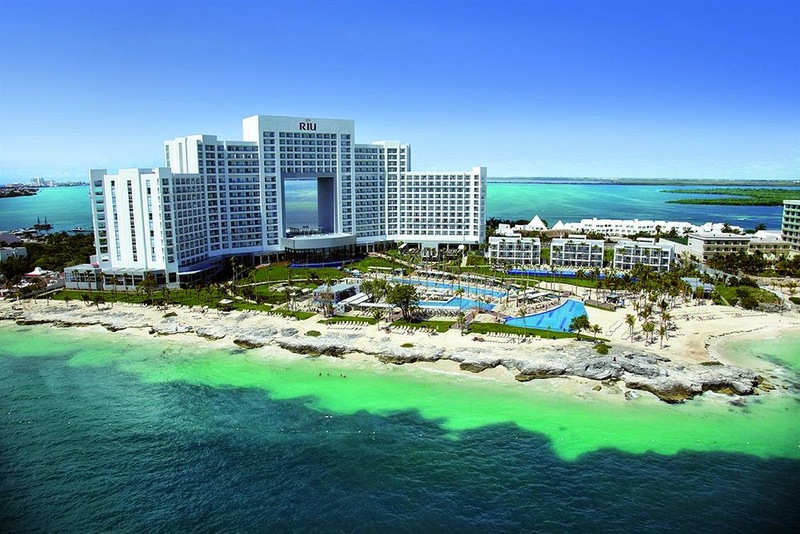 This luxury beachfront resort sits regally on the curving peninsula of Cancun`s Zona Hotelera, or Hotel Zone. 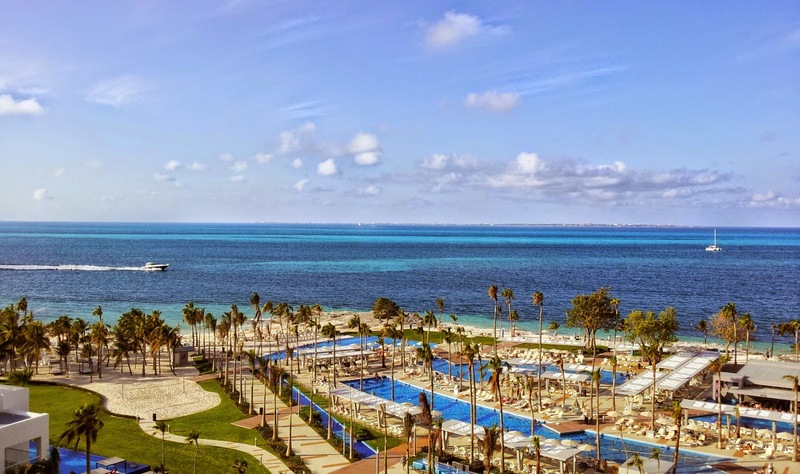 The hotel is located 1.5 miles from a shopping center, just 3 miles from downtown Cancun, and 13 miles from the Cancun "CUN" International Airport. 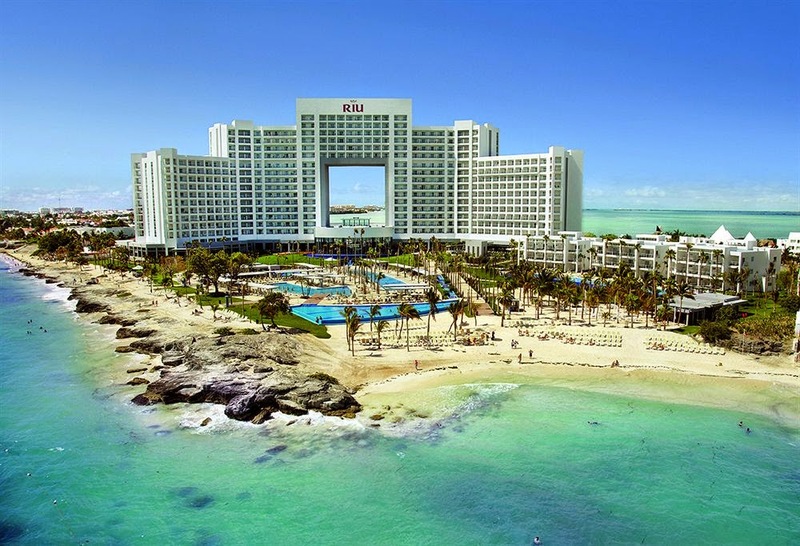 Riu Palace Peninsula guests enjoy access to all facilities, activities and entertainment at Riu Caribe, Riu Cancun, and Palace Las Americas dinner restaurants excluded. In-room mini-bar regularly restocked and liquor dispenser. Your children will have a great time together with other children in the RiuLand program. 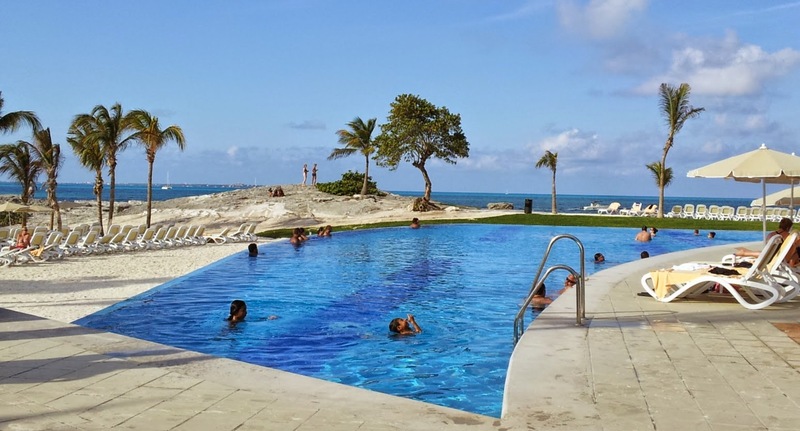 During the day enjoy numerous sports and activities through out the resort. 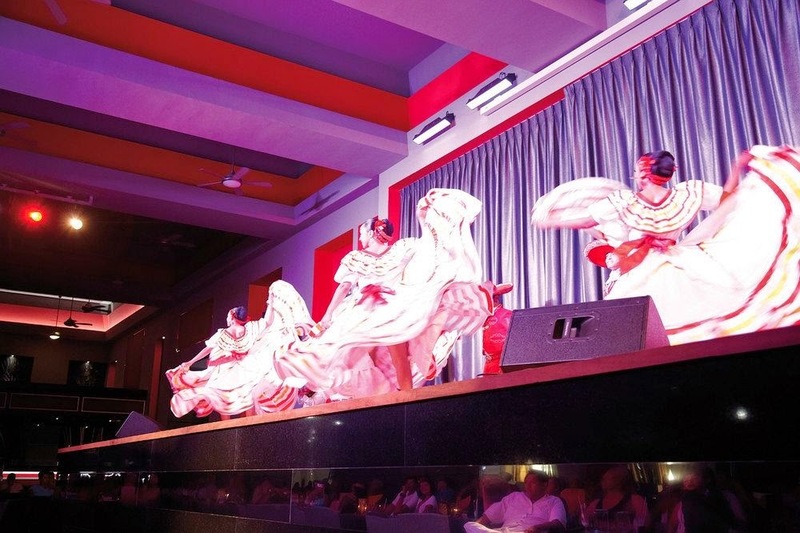 In the evenings, the Riu has a different stage show each night with live music and a lively disco. All 562 suites offer great features to make your stay unforgettable! Each suite features a bathroom with a hydromassage bathtub and shower cabin, a double-sink and other bathroom amenities including a make-up mirror, and a hairdryer. Enjoy breathtaking views from your balcony or terrace. Turndown service is available as well as complimentary Wi-Fi in the suites and lobby. Take advantage of the in-room liquor dispenser and mini-bar [restocked regularly]! Other features include a telephone, central A/C, ceiling fan, coffee maker, satellite TV, radio alarm clock with mp3 adapter, electronic in-room safe laptop size 15-inch, and an iron/ironing table. The Junior Suites feature an integrated lounge area with a sofa or sofa bed, and the Jacuzzi suites feature a Jacuzzi on the balcony or terrace. 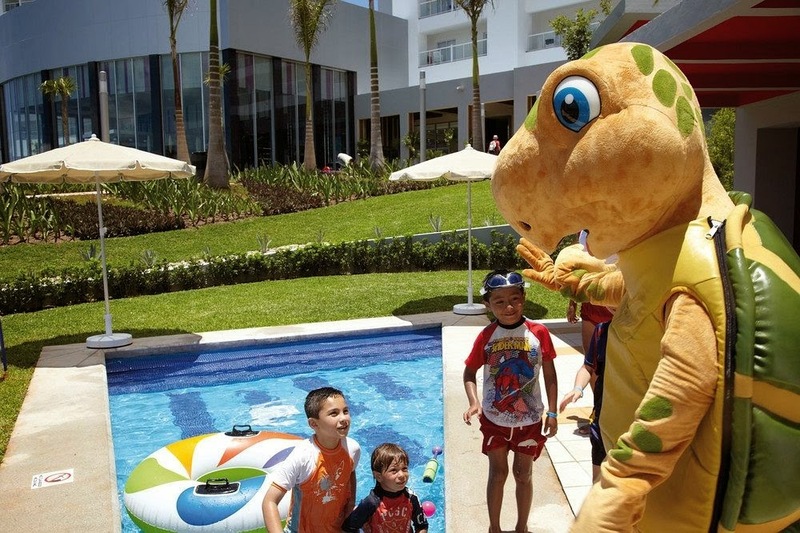 Hotel Riu Palace Peninsula offers all the necessary amenities as well as all the fun amenities! Here there is something for both the adults and the children! Participate in daytime entertainment programs for adults [daily] as well as daytime entertainment programs for children ages 4 to 12 daily. 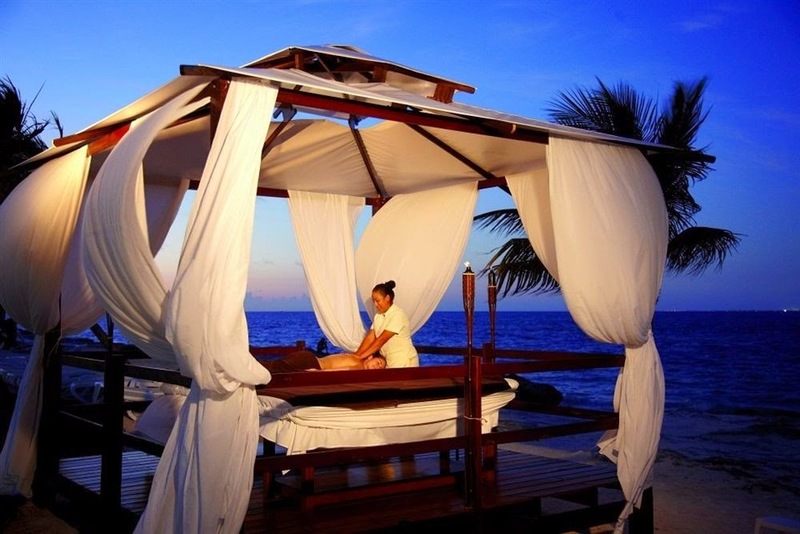 Lay out by the pool on the complimentary sun loungers, with towels and parasols. 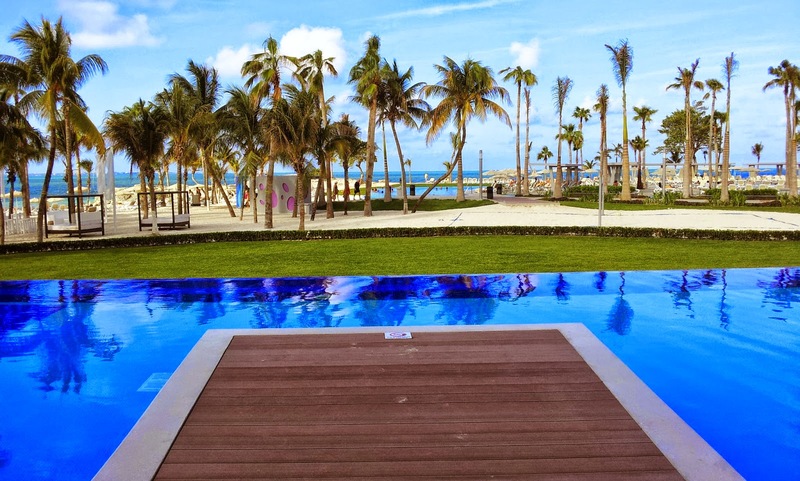 There is one swim-up bar with adjoining Jacuzzi, a sun terrace, a children`s swimming pool, beach bar, beach volleyball, windsurfing, catamaran, kayaking, snorkeling equipment and one introductory scuba diving lesson in the pool. Also featured is a mini-club and there is an ATM available onsite to withdraw Mexican Pesos. Enjoy the complimentary Wi-Fi in the lobby and in your room and make use of the gym, steam room, sauna, and Jacuzzi. 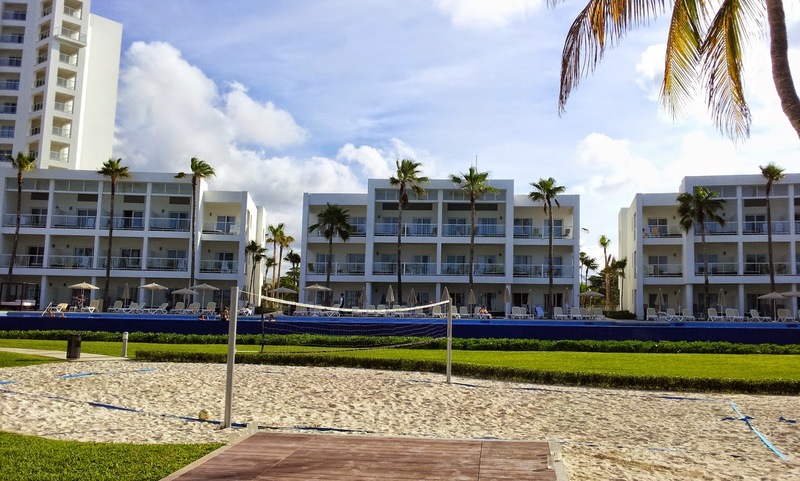 Other services that are available with a fee include shops, the Renova Spa with assorted treatments and nearby sports and facilities including; golf courses, assorted water sports and bicycling. Incredible array of delectable dining choices day and night. Riu`s world-renowned All-Inclusive system gives guests the opportunity to taste a variety of dishes from local to international recipes. The hotel`s themed restaurants will broaden your gastronomical spectrum with delicious cuisines such as local Mexican, Italian, and Japanese. Unlimited local and imported beverages are available 24-hours per day. A regularly re-stocked mini-bar and drink dispenser are at the guest`s disposal, as well as convenient drink service at the pool. Breakfast: Full American breakfast buffet, on the spot cooking stations, fruits, juices, Cava, and continental breakfast/snack. Lunch: Hot and cold buffet and on the spot cooking stations. Pizzas, pasta, salads and assorted desserts. Dinner: Buffets and dishes prepared on the spot cooking stations. 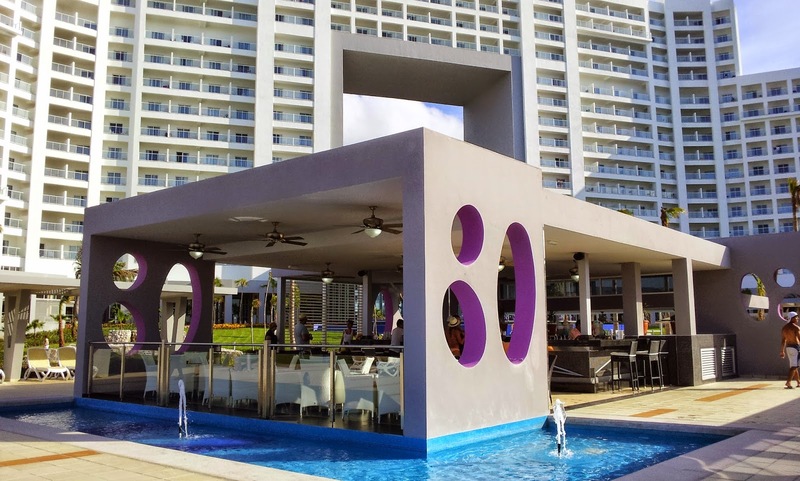 Hotel Riu offers special evenings with themed buffets three times a week as well as additional a la carte options [reservations required in advance; Krystal Fusion, Japanese restaurant, Italian restaurant, Grill and steakhouse, and a Mexican restaurant. Formal dress is required for dinner at theme restaurants long trousers and t-shirts with sleeves for gentlemen. Snacks: 24 hours a day. Amenities: Includes ether two double beds or one king bed, living room with sofa or sofa bed, and ocean views from balcony or terrace with private Jacuzzi. All suites feature a mini-bar and liquor dispenser, air conditioning, ceiling fan, direct dial phone, coffee maker, satellite flat-screen TV, radio alarm clock, electronic in-room safe, iron/ironing board, hydro-massage bathtub, extra shower cabin, double sink, vanity mirror, and a bathroom amenities kit. Amenities: Includes one king bed, living room with sofa, and balcony or terrace with private Jacuzzi. All suites feature a mini-bar and liquor dispenser, air conditioning, ceiling fan, direct dial phone, coffee maker, satellite flat-screen TV, radio alarm clock, electronic in-room safe, iron/ironing board, hydro-massage bathtub, extra shower cabin, double sink, vanity mirror, and a bathroom amenities kit.